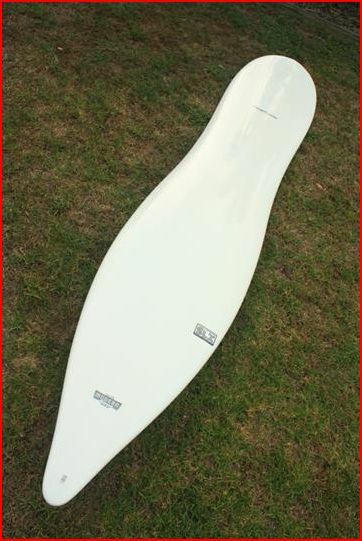 I am in the market for a new plank and I've stumbled across some cheap 9'6" epoxy longboard that's produced by HONU of Bondi. Does anyone have any experience with a HONU board? I'm just looking for a fat cruisey mal that can turn and pump down the line properly. Any feed back good or bad would be great. And I'm around 102 kilos, so a 9'6" would be ideal. Many thanks! I thought the whole point of longboards was that you didn't have to pump down the line...??? I would look at the boards Beau Young flogs if you want to get a solid cheapie. Logs come with an even greater emphasis on and disregard for pedigree. I’ve seen some of the boards around my local break. Fountain of youth model springs to mind. Got talking to a guy that had been riding his exclusively for ten months. Deck was in great shape, rails all still one piece, no blown out fin boxes. At the moment I can afford to buy boards from more environmentally conscious manufacturers and will continue to do so. Should ther come a day when I need something more cost effective I would not hesitate spending my money on a board from the surfboard warehouse. Consider going a second hand FireWire. I've seen the carbon jet up close. Brand new but looked decent. Will see in a few months when it's been used a bit. It's a mates so I should get a go in it at some time. I ended up getting a 9'2" custom Meyerhoffer Longboard. One of those crazy shaped longboards from the US. I saw it on ebay and "Melbourne" clearly didnt know what the f#ck it was! Its basically new and 99.9% ding free. I snagged it for just $277 with bag and new leash. I felt a bit bad, so I gave the guy an extra $40 as Ive heard these shapes go ok. Took it out today in 4-6 ft then 2-3ft. Im actually amazed at how this shape works. Nose riding is easy, paddling super easy, and the speed off the tail is very suprising!!! not bad for $277 !!!! That's an interesting board, the Meyerhoffer. Always thought they looked like sanitary napkins but glad it goes good.